Raffles Street Dance’ s annual show never fails to draw big crowds. The first arrivals had started to stream in slowly, and it wasn’t long before the entire hall was packed with an eager audience. As the thick curtains winched its way open, the excited chattering quietened to faint whispers of anticipation, before erupting once more into resounding cheers to welcome Raffles Street Dance on stage. An exchange of sallies between the emcees quickly set a light-hearted, somewhat humorous mood that would underscore the performance throughout. Its premise was simple: four dance crews, four different dance styles, one really big battle of the dances (Did we also mention one spectacularly entertaining performance?). “I’m extremely thrilled,” exclaimed Mark Wee (16S03S), “I’ve been looking forward to this for a really long time,” It wouldn’t be a long shot to say Mark’s comments reflected the high hopes of his peers and a broader atmosphere of excitement. When the show commenced, RSD, true to their style, began their highly-anticipated lineup with a classic showing of fast-paced hip-hop complete with a generous share of locking and more. Their stage presence was later challenged by an equally energetic showing of street jazz, though they themselves soon had their spot in the limelight snatched away as affable funk dancers grabbed the audience’s laughter and attention easily. Combining various elements of milder styles with the abstractions and intense expressiveness of contemporary styles, RSD’s final group performed an emotionally-evocative lyrical dance to Bastille’s “Pompeii”, holding the audience in silent awe. There was more to come, with an even more eye-catching treat afterwards, when RSD’s full roster filled the stage to present a combined performance as the narrator described their journey to overcome disagreements as a united Street batch. Besides the remarkable dance routine, charming characters as well as a relatable storyline infused with a good amount of comic relief helped keep the entertainment factor going strong throughout a very magical quarter of an hour. 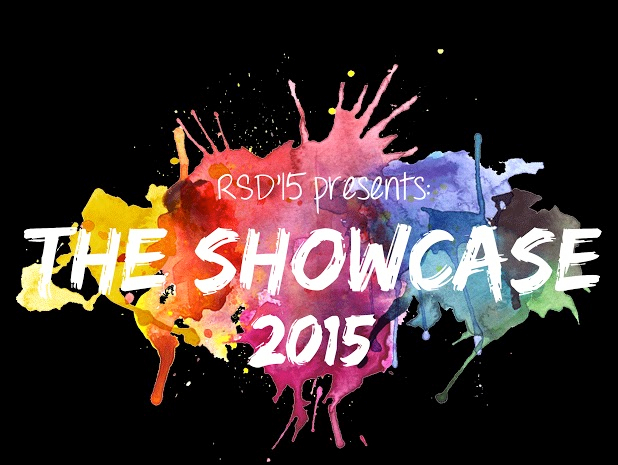 RSD’s crew takes the stage to roaring applause. Well, you can’t call those motor skills fine, Rhe-Anne (Though RSD’s dancers most definitely can). RSD’s dancers strike a quick pose. By the end, we too weren’t entirely convinced a mere fifteen minutes was enough to do the dance crew’s incredible effort any sort of commensurate justice — the crowd was positively enthused by an amazing performance and clearly in demand for more. 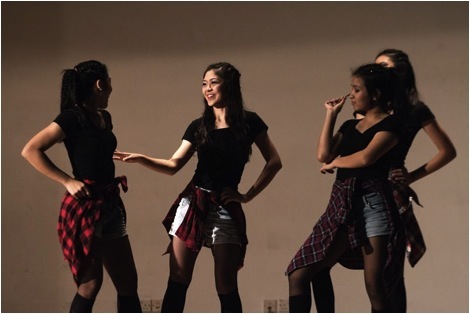 But what we can be definitely sure of is this: the dancers’ extraordinary display of harmony in movement and synergy at Showcase 2015 wasn’t their first, and most certainly wouldn’t be their last one as Raffles Street Dance continues to impress.